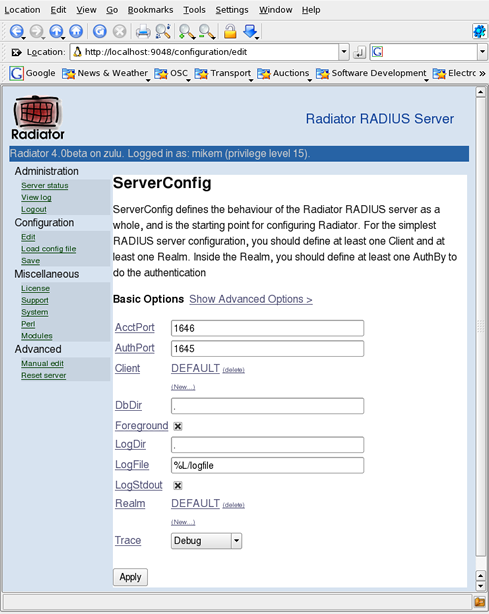 Radiator RADIUS server (Version 4.0+) has a full web based GUI (Graphical User Interface) for configuration, monitoring and reporting. For full details see the Radiator Reference manual. 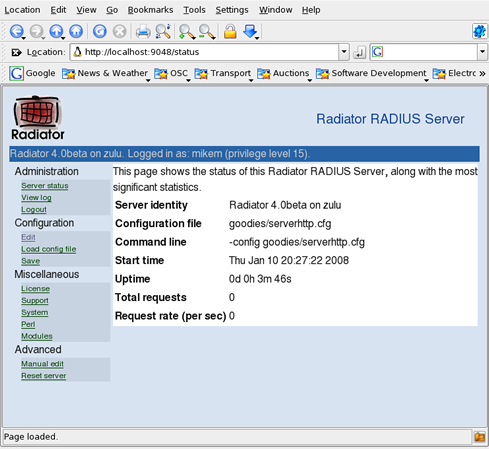 You can connect to Radiator with any standard Web browser and use it to inspect, monitor, configure, restart, reconfigure, save and check statistics of your Radiator server from anywhere in your network. This makes configuration and maintenance of Radiator easier for staff that are not familiar with more traditional command-line tools and configuration file editing. The following screenshots show some of the key functions. The Home page displays basic information about the GUI and provides a Navigation Area from where all the functions can be accessed. 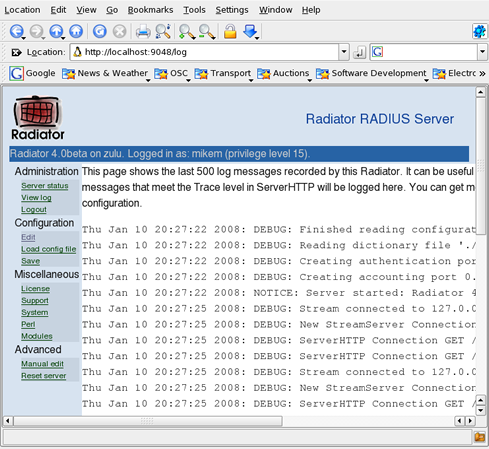 The Server Status page shows details about a particular instance of Radiator. The GUI log collects and displays log messages. 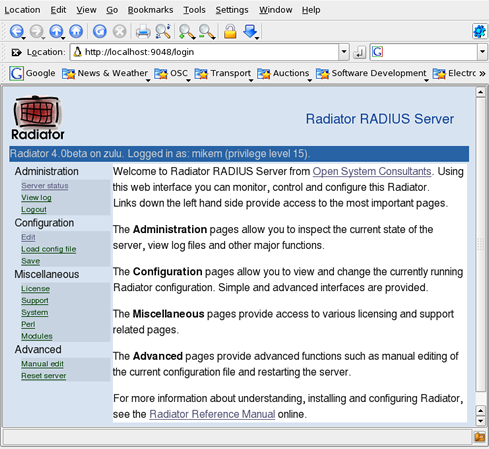 The ServerConfig page is the main (top-level) configuration page from which all the Radiator configuration clauses and their sub-clauses are accessed and edited.